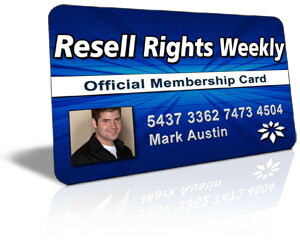 Want to see all the technologies used by resell-rights-weekly.com? The products that are in the membership area include new software, new ebooks, new info products, new program scripts, new audios, new videos, new templates, new graphics, new PLR articles, and new niche products. Each product will have either Private Label Rights or Resale Rights. And in case you are wondering, these products will be brand new digital products - not old outdated junk! For a quick look at additional technographic info on resell-rights-weekly.com or any domain on the web, download our Chrome Extension. Check out our help article to see how Datanyze Insider can help you.